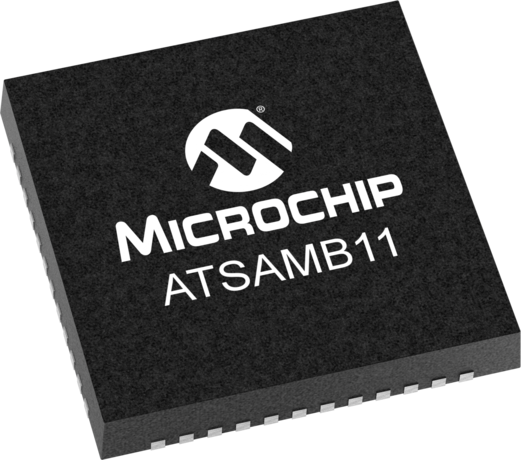 The ATSAMB11 is an ultra-low power Bluetooth® Low Energy System on a Chip with Integrated MCU, Transceiver, Modem, MAC, PA, TR Switch, and Power Management Unit (PMU). It is a standalone ARM® Cortex®-M0 applications processor with embedded Flash memory and BLE connectivity. The qualified Bluetooth Low Energy protocol stack is stored in dedicated ROM, and the firmware includes L2CAP service layer protocols, Security Manager, Attribute protocol (ATT), Generic Attribute Profile (GATT) and the Generic Access Profile (GAP). Additionally, application profiles such as Proximity, Thermometer, Heart Rate, Blood Pressure, and many others are supported and included in the protocol stack. The ATSAMB11 is available in a QFN package or as a certified module. The fully-certified ATSAMB11-MR210CA module is available now for purchase.